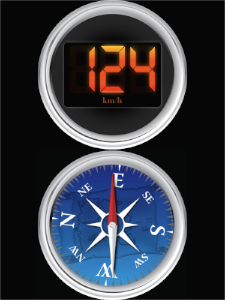 Displays your current speed in a beautifully designed speedometer that supports km/h and mph. Toggle between an analog or digital display. Even better, the speedometer auto-adjusts to any speed at which you are moving! 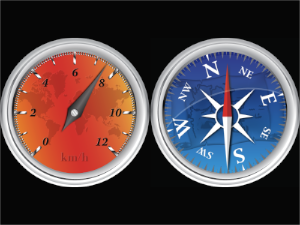 In addition, a stylish compass will show you your current heading. - All Speed now remembers whether you were using digital or analog speedometer between launches. - Greatly enhanced clockface-switching mechanism for analog speedometer.